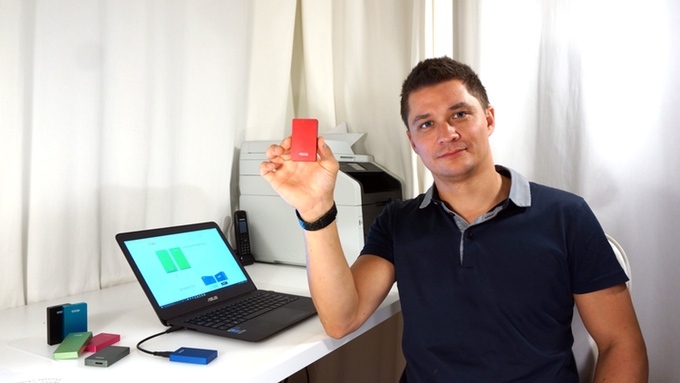 Sydney, NSW, Australia, January 15, 2016 — /EPR COMPUTER NEWS/ — Australian owned company Vivid Storage has launched a KICKSTARTER campaign to support their VIVID SSD: Designer Fast and Ultra-Portable Solid State Drive in Mix & Match Colour project on the 15th of December 2015. A 30 Days campaign has been already funded at 100% on Dec 31 (half of its allocated time) at limited marketing budget. The project has only 3 day to go on KICKSTARTER. VIVID SSD (Solid State Drive) is an ultra-compact (4 x 6,5 x 1cm), fast and durable portable storage device, based on the flash memory and USB 3.0 technology. With high-quality PCB and MSATA components inside and 5-year world-wide warranty, VIVID SSD comes in a 64 Mix and Match colour combinations of lid and base and a sturdy CNC machined aluminium case. The capacities of VIVID SSDs range from 250GB to 1TB drives and prices start from AUD$249. VIVID SSD advantages over its existing competitors include lowest RRP price point, design personalization, 5-year warranty (not offered by existing competition), ultra-compact form factor and exceptional durability of the aluminium shell. To all who backs its KICKSTARTER campaign until January 17, the Vivid Storage offers a personalized limited edition of VIVID SSD at pre-retail prices with free engraving of backer’s name and free worldwide shipping. There is a limited number of VIVID SSDs offered at Early Birds greatly discounted prices. Vivid Storage is an Australian company that focuses on consumer and professional flash storage solutions, that are not just exceptional quality and leading edge technology but also colourful and personal.